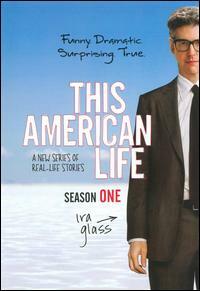 With This American Life, Ira Glass brings his popular NPR radio series to the small screen, providing a unique a forum for Americans of all backgrounds and lifestyles to tell their stories. Allowing the individuals to recount their varied and compelling tales in the first person, Glass interjects each segment with his own narrative to help create a rich picture for each unrepeatable experience that's recounted. The stories told are sometimes heart breaking and sometimes humorous but most frequently, they're both.